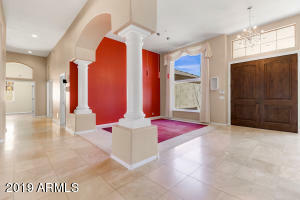 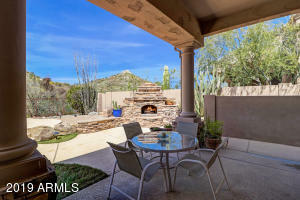 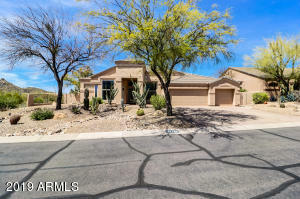 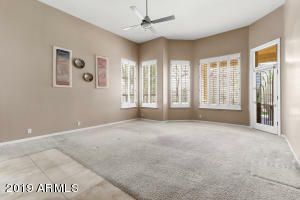 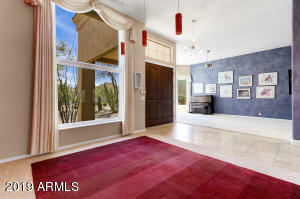 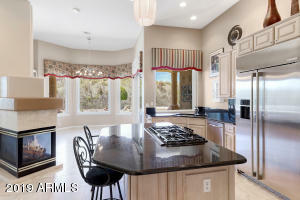 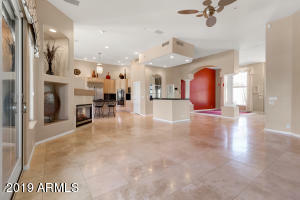 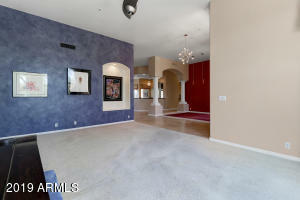 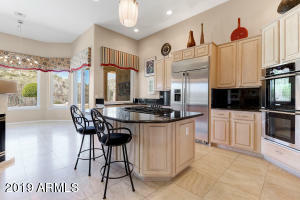 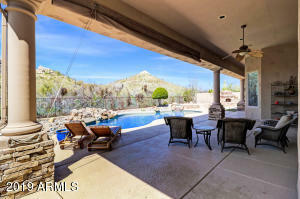 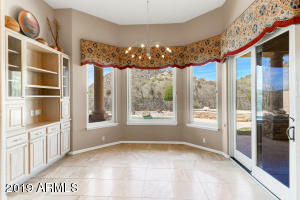 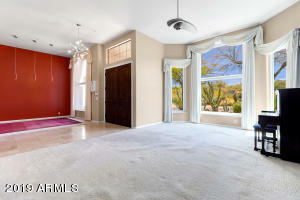 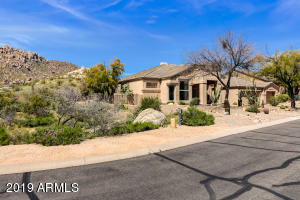 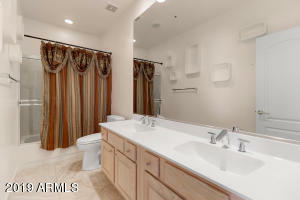 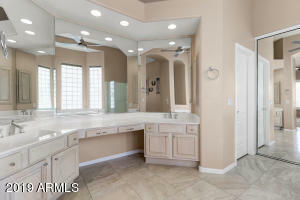 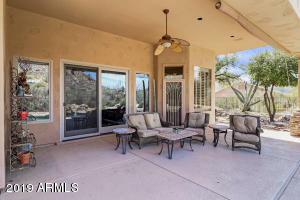 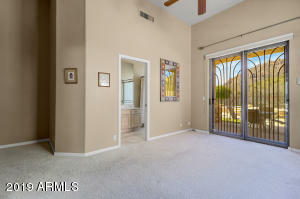 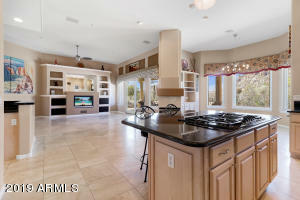 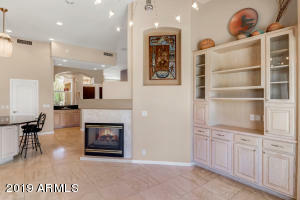 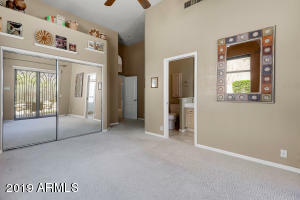 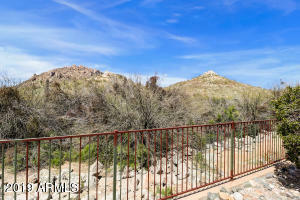 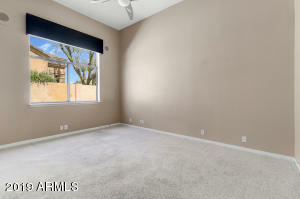 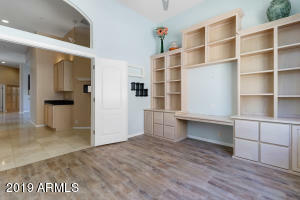 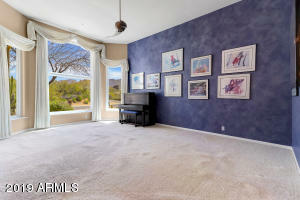 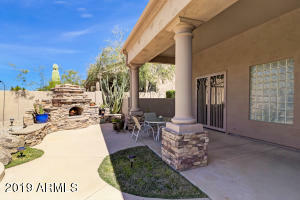 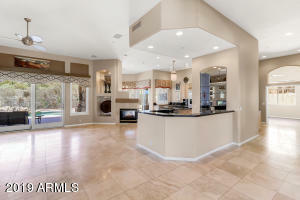 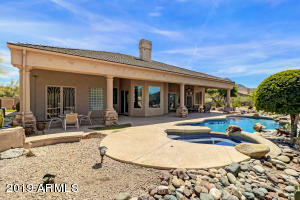 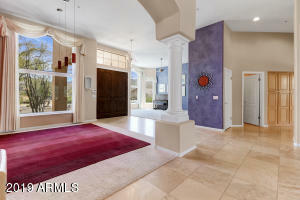 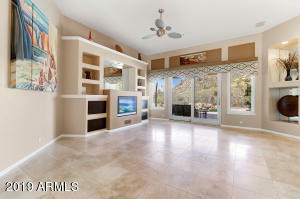 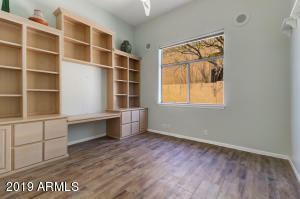 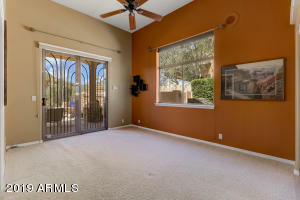 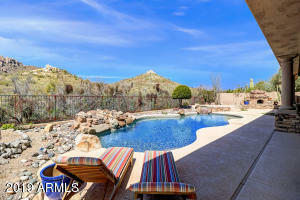 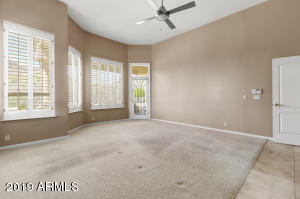 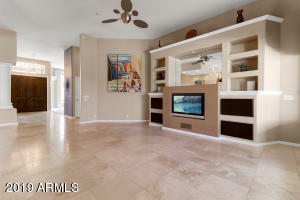 This peaceful retreat located in Desert Crest at Troon Village is ready for it's new owners to make it their own! 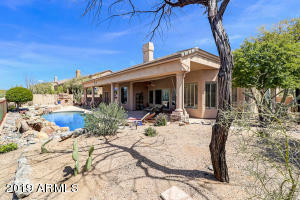 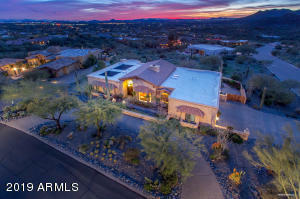 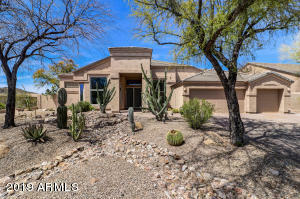 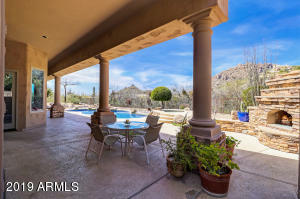 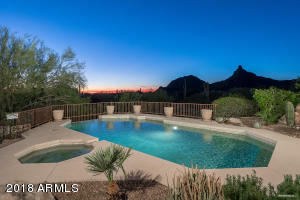 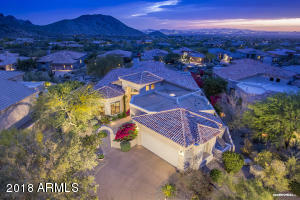 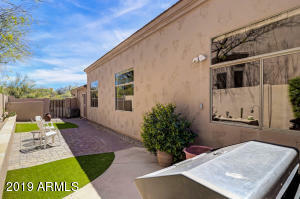 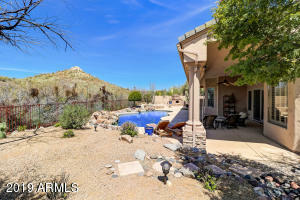 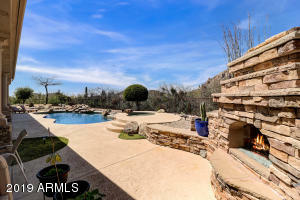 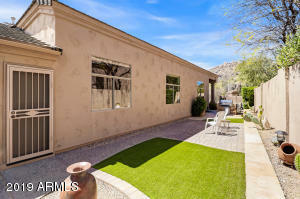 Situated on a corner lot w/direct views of Troon Mt, the backyard features low maintenance landscape, generously sized pool w/double water features, elevated spa, stacked stone accents, covered patio, side yard w/patio & artificial turf, & fireplace for cozy evening enjoyment. 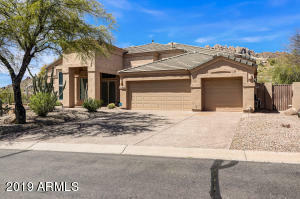 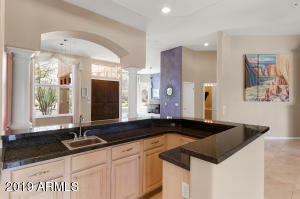 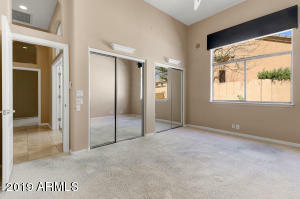 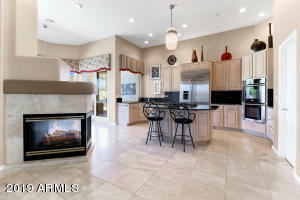 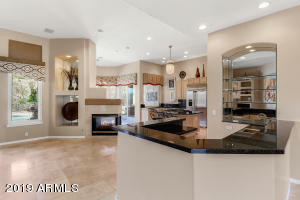 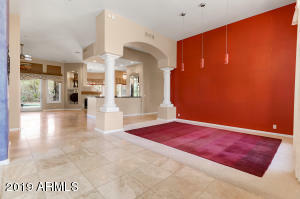 The single level floor plan w/an open kitchen & family room is accented by a 3-way fireplace, neutral travertine flooring, built in entertainment center, s/s appliances, gas cooktop, large breakfast room & center wet bar perfect for entertaining. 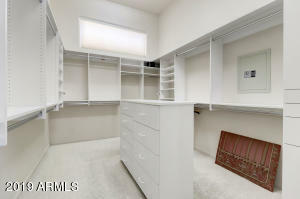 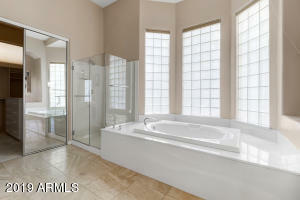 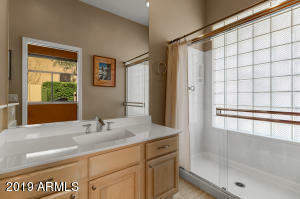 The 3 bed + office, 3 1/2 bath home was expanded to include a larger 3rd bedroom & private bath with exterior access. 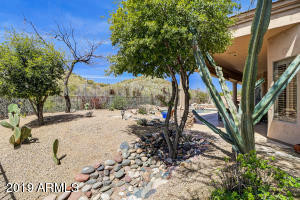 From Pima and Happy Valley Road head East on Happy Valley to Whispering Wind Drive. 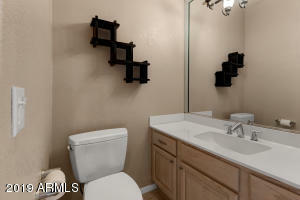 Take a right on Whispering Wind Drive and an immediate left on 117th Street. 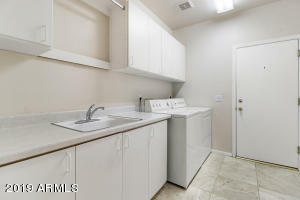 Home is on your left.